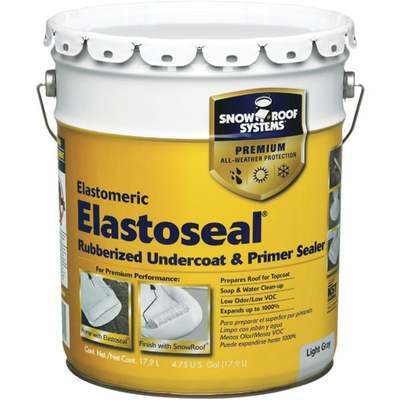 High-strength liquid rubber undercoat used with Snow Roof . Water-base, 100\% elastic, resistant to standing water. Waterproofs most any roof, wall, or deck. Light gray. 1 year warranty.